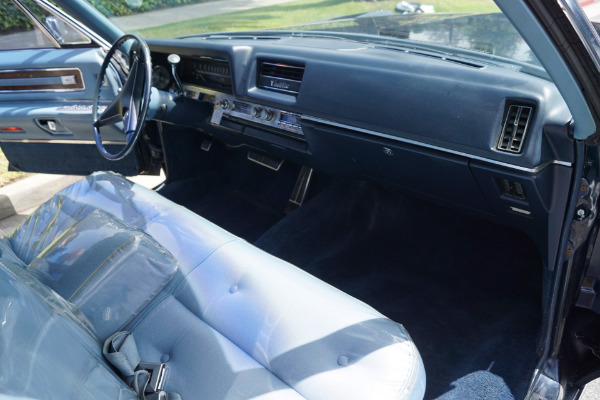 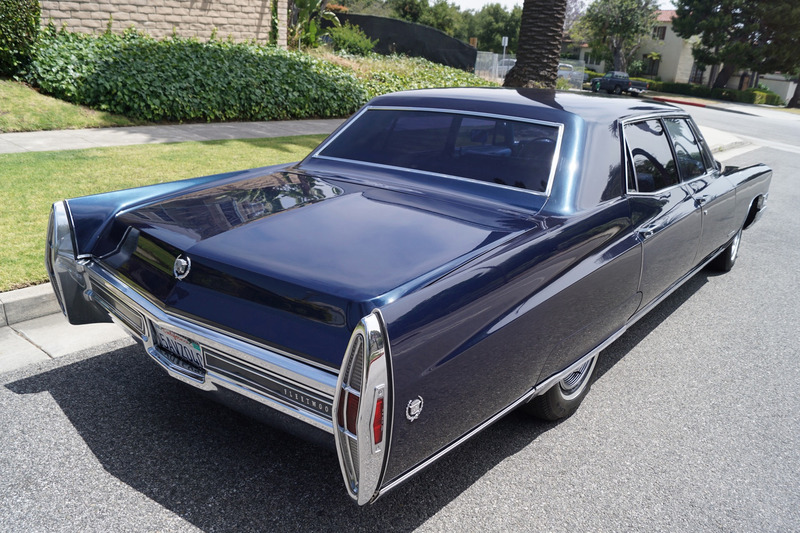 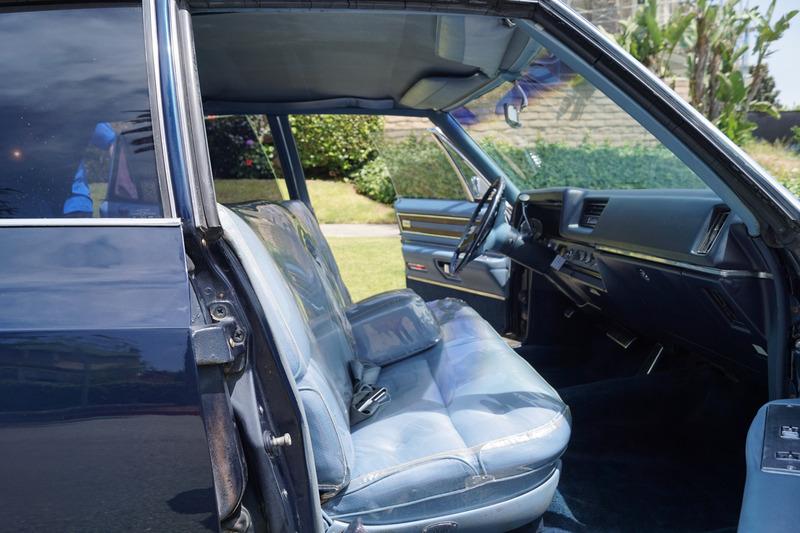 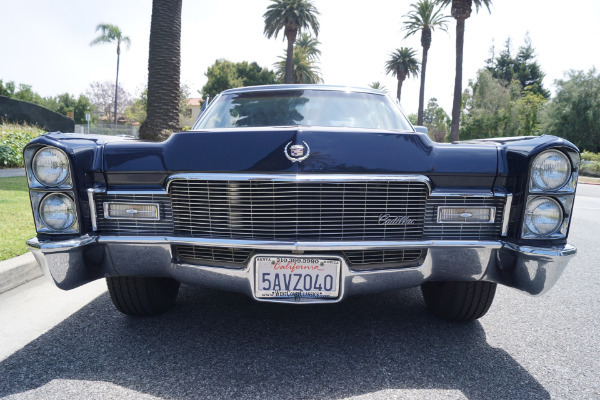 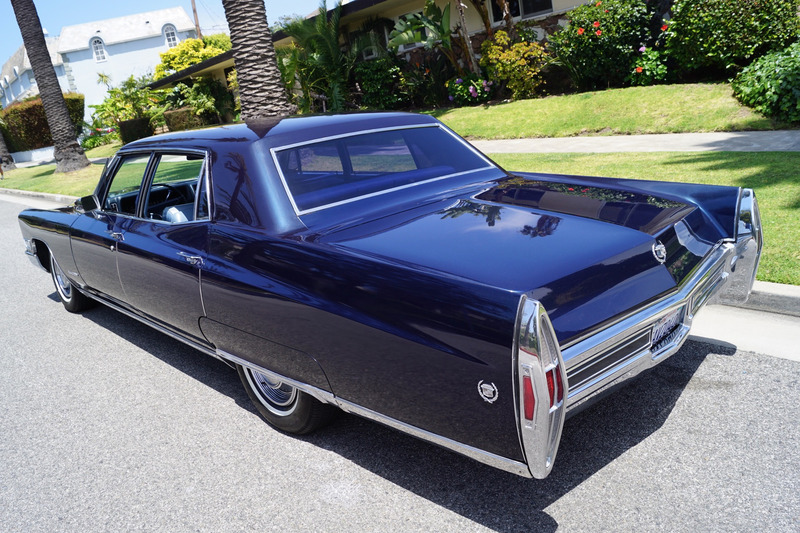 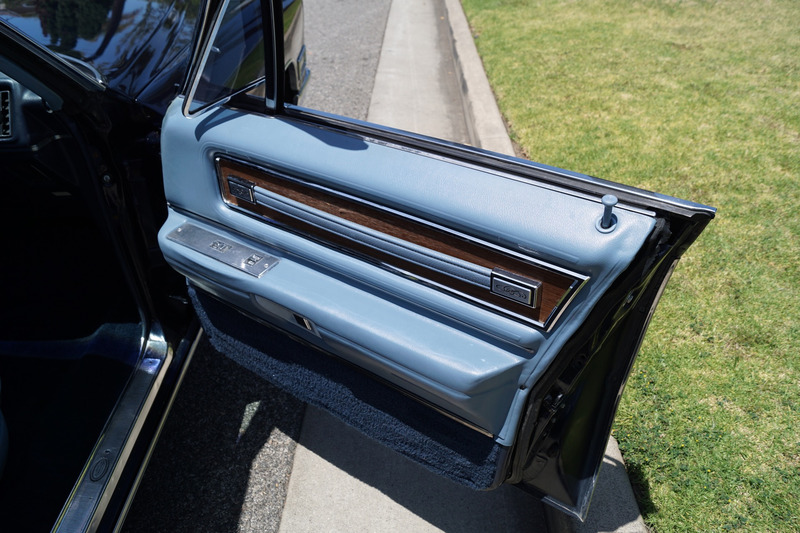 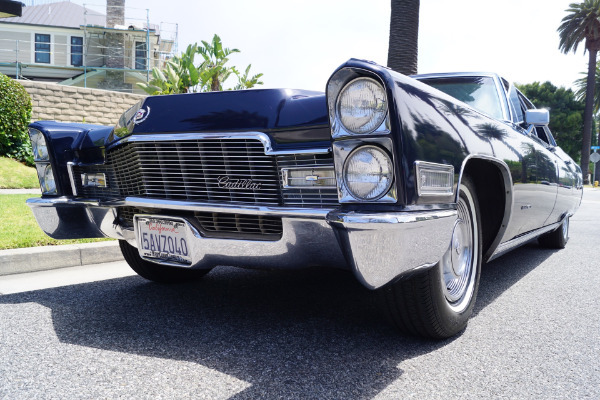 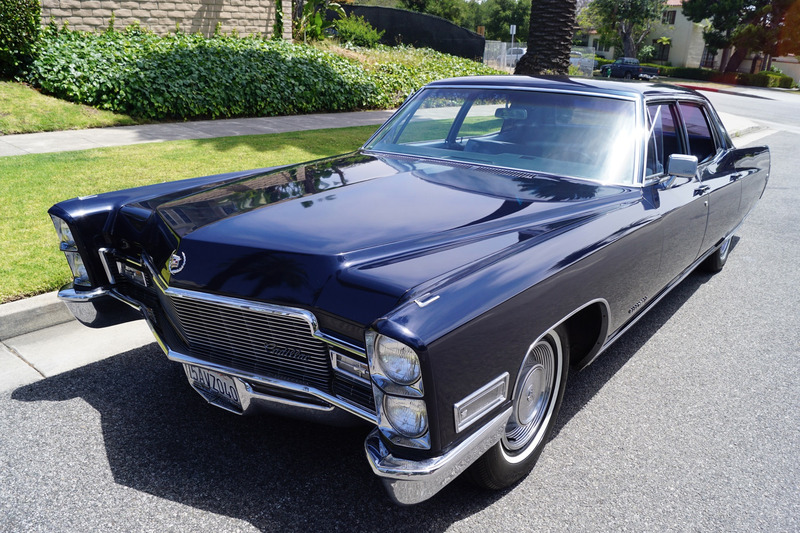 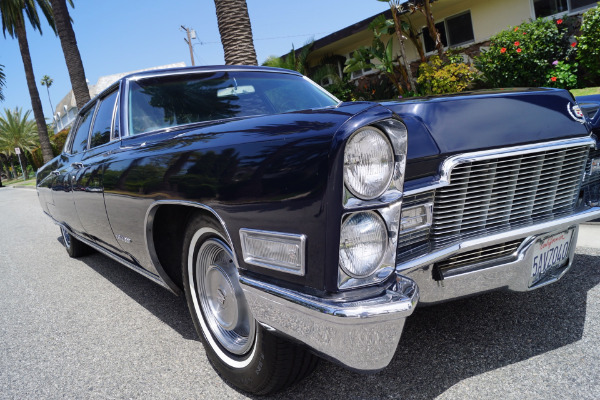 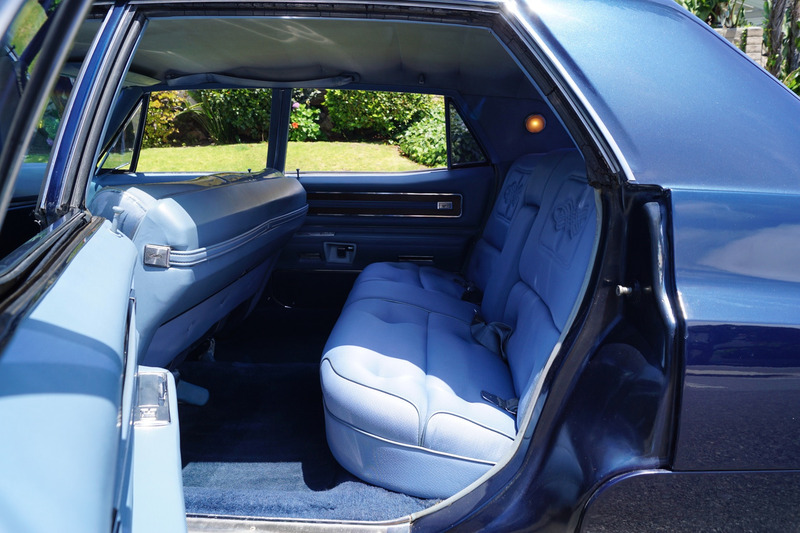 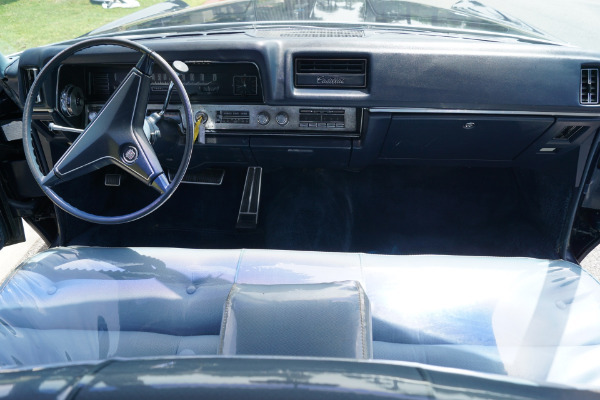 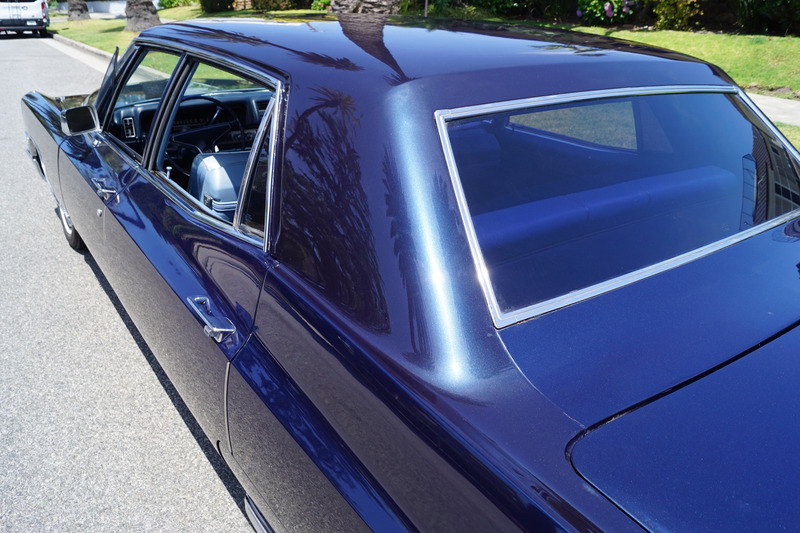 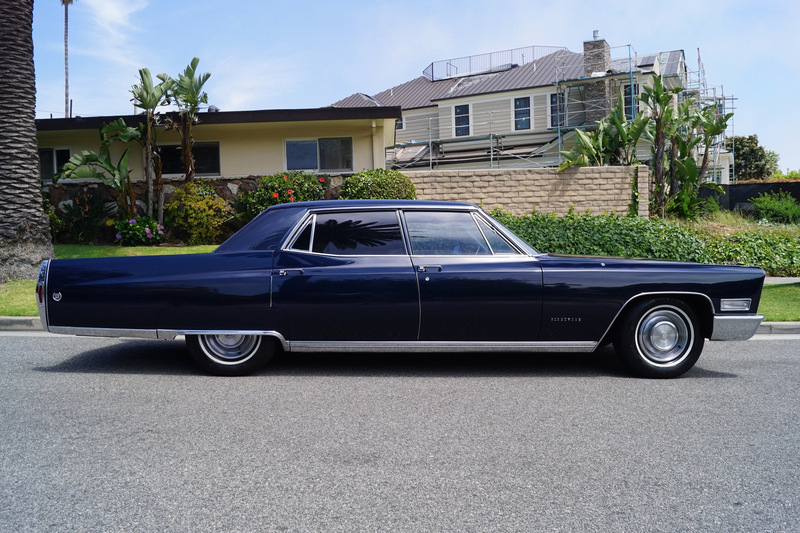 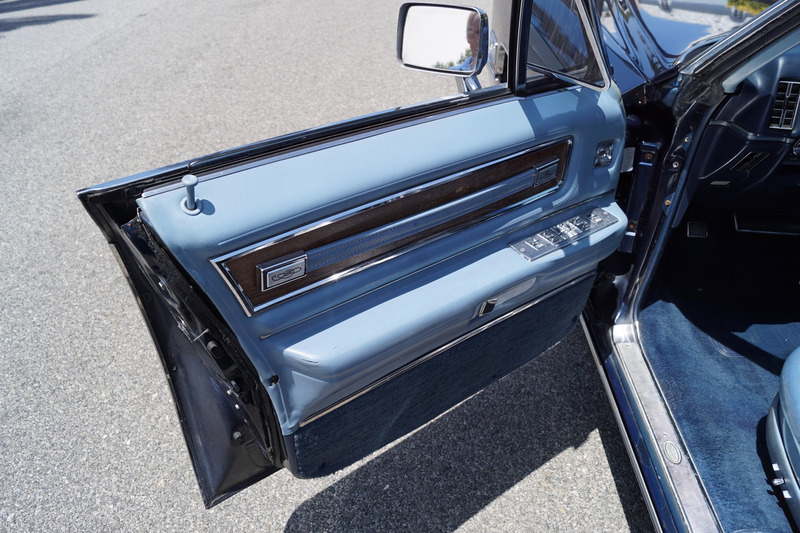 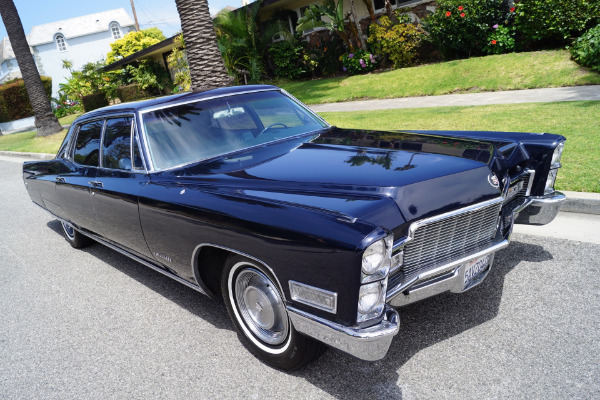 There's no better example of GM's styling and engineering prowess in a four door luxury sedan model than the 1968 Cadillac 60 Special Fleetwood with its elegant interiors of cloth or Sierra-grain leather and rare wood accents. Drive one like this particular example and you will see why - its hard to believe that this car was built almost 50 years ago! 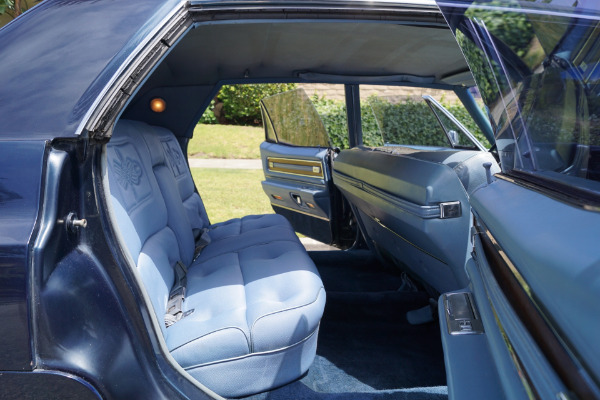 These cars bristled with the latest in modern appointments and had few rivals in the luxury market and were purchased only by the very privileged elite. 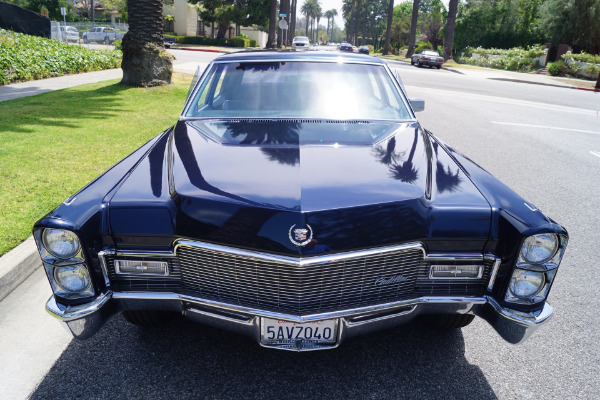 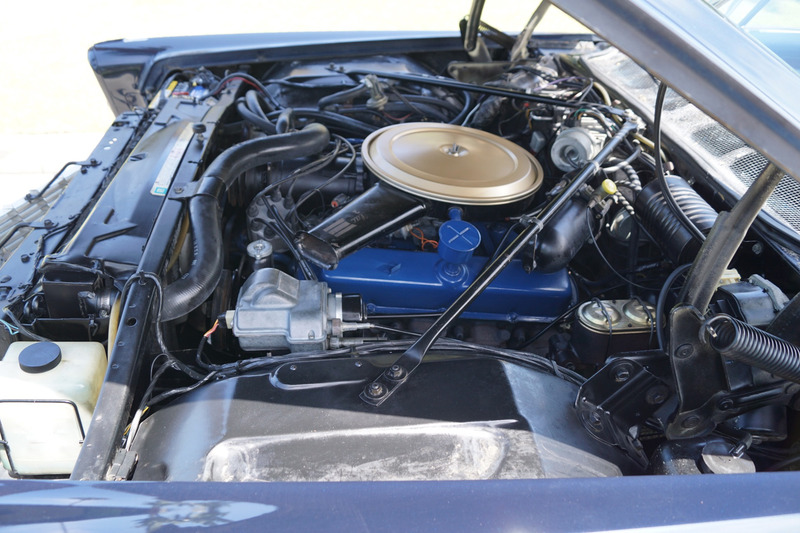 The all new 472/375HP V8 engine with 525 foot pounds of torque was introduced in 1968, it was the biggest and smoothest engine built by Cadillac to date and it proved unsurpassed in the industry as the largest engine ever put in a production passenger motor car and provided both sparkling acceleration, yet also quiet and effortless highway cruising, almost like having two engines! 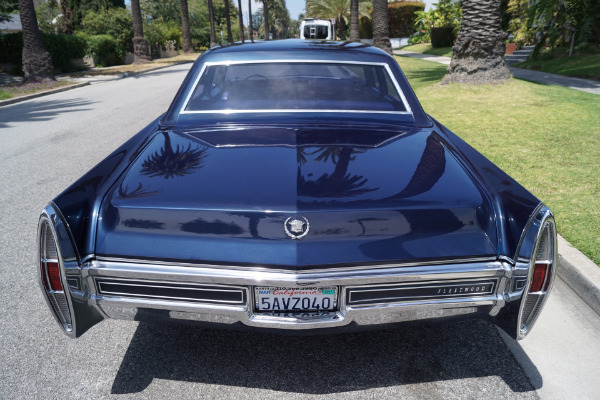 The car was also redesigned to match its modern engine with a new grille with finely spaced horizontal grille bars and distinct parking and headlamp lights. 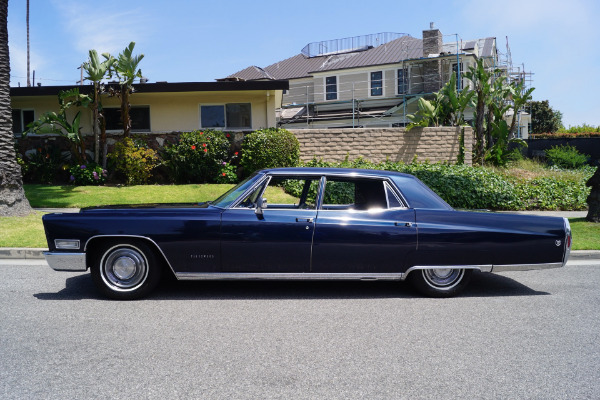 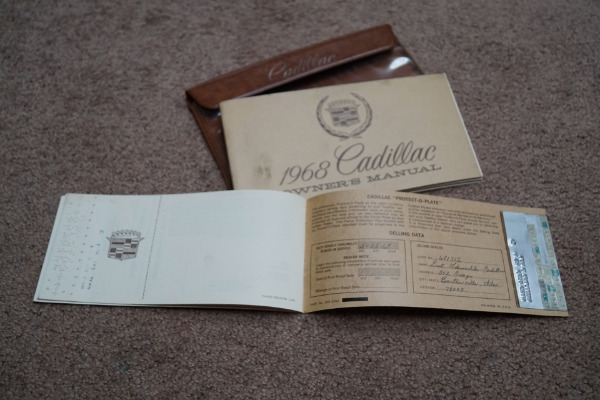 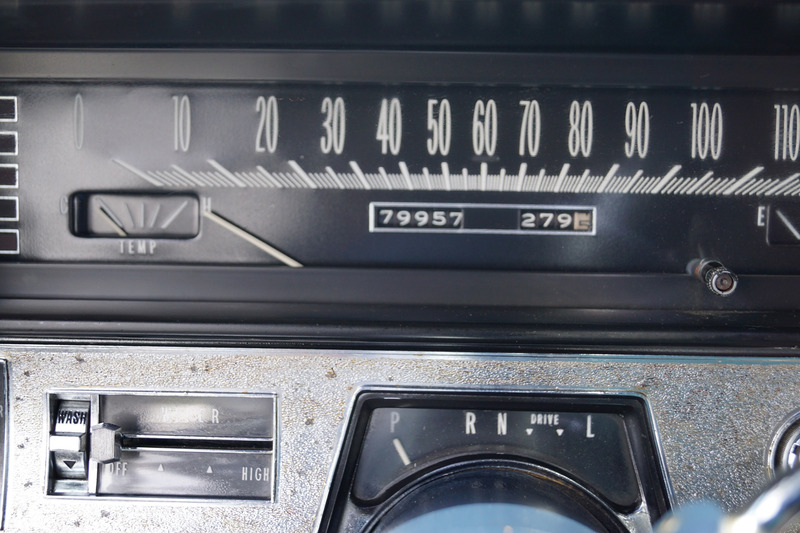 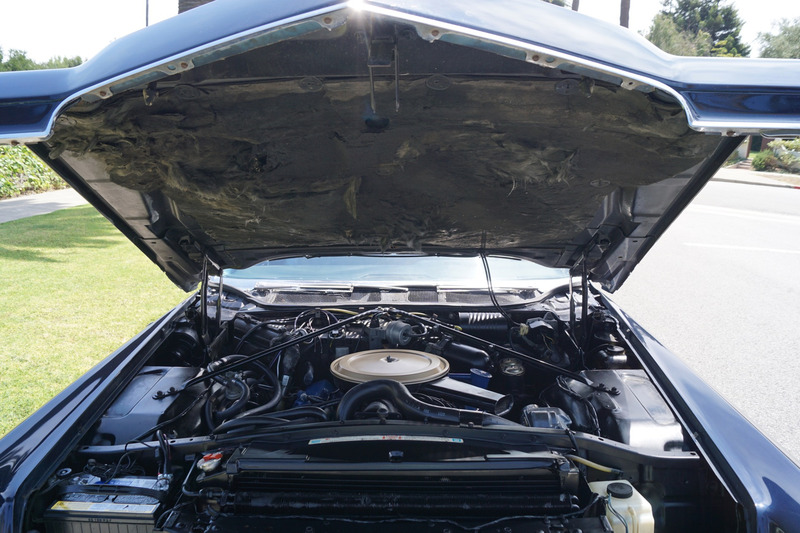 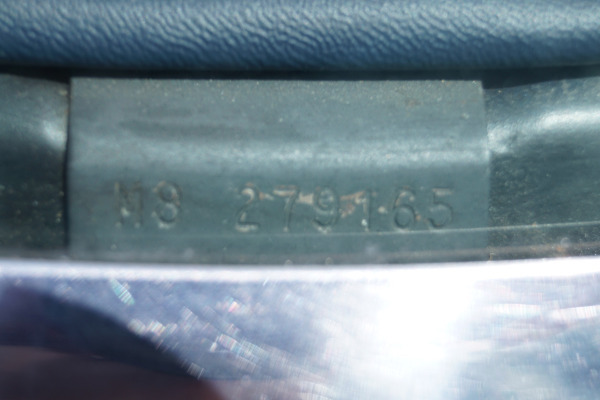 This particular example was originally ordered at 'List-Oldsmobile Cadillac' of Bartlesville, Oklahoma and sold on 5/23/1968 to its long time original owner and reportedly the car was rarely driven and it now has only 79K original miles. 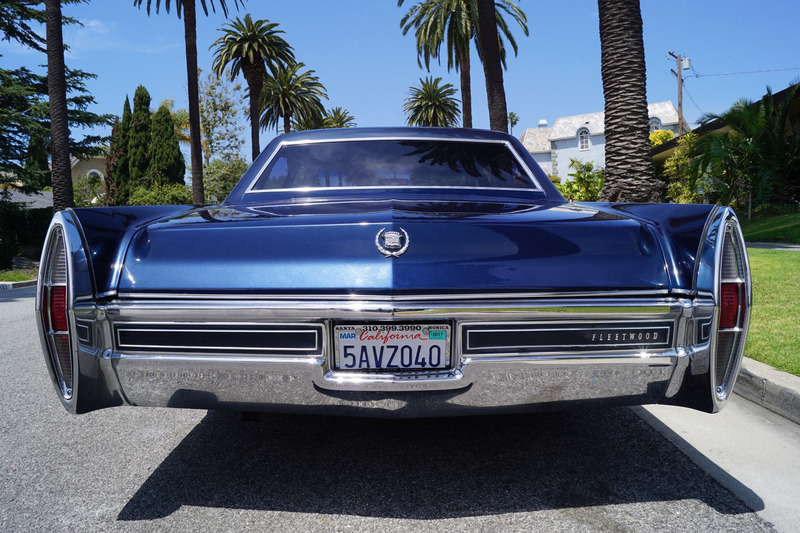 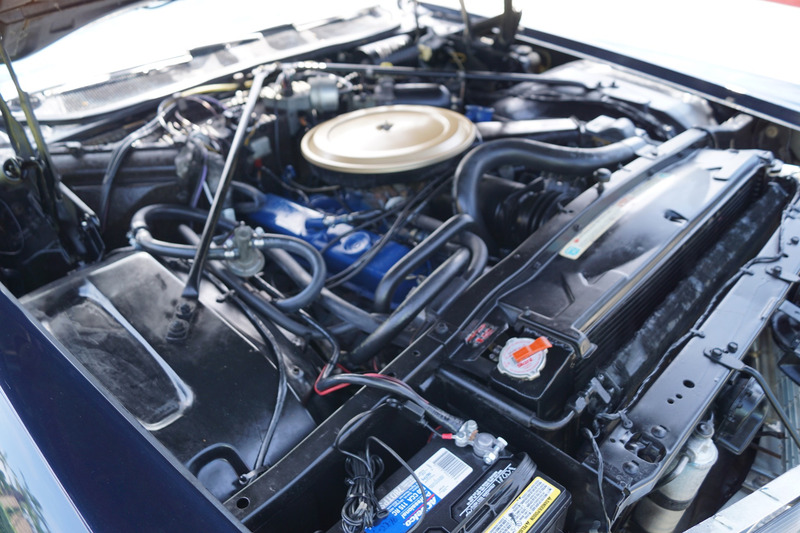 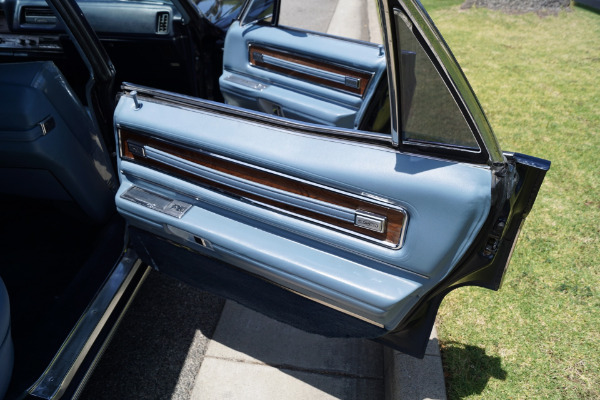 The car is extremely clean with a very straight body with the the floor boards, trunk and all the typical rust-prone areas completely original, solid and rust-free and the car has no signs of any accidents and reportedly only one repaint in it's original 'Emperor Blue Metallic' color since new. 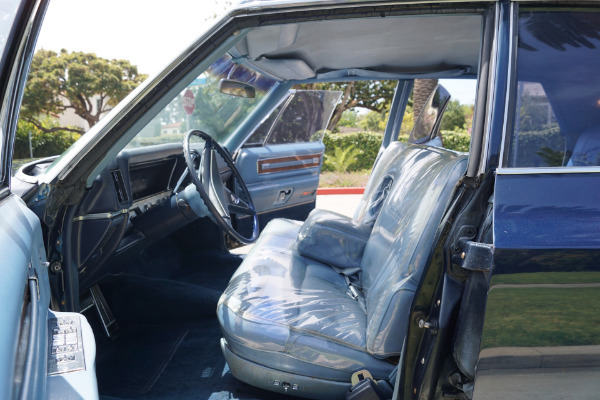 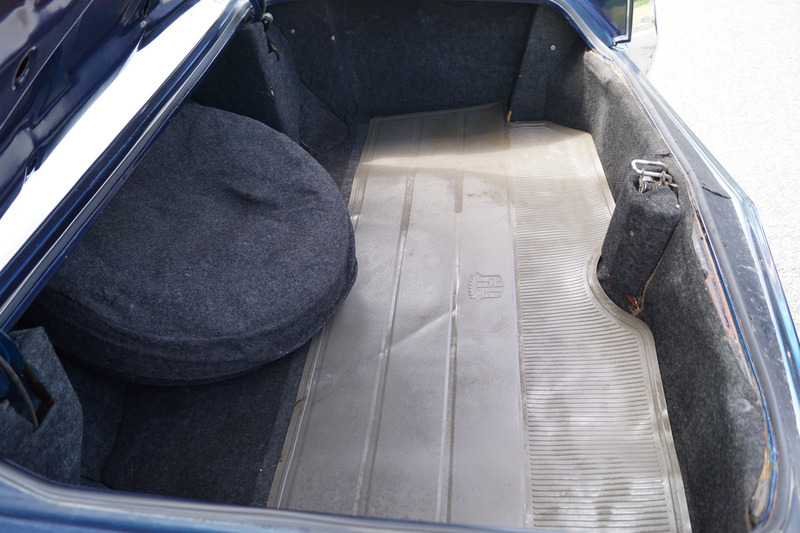 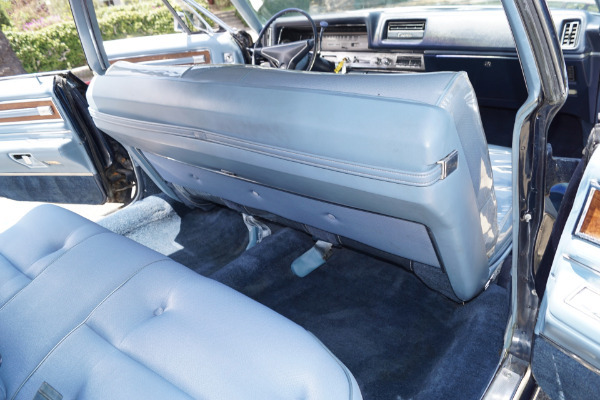 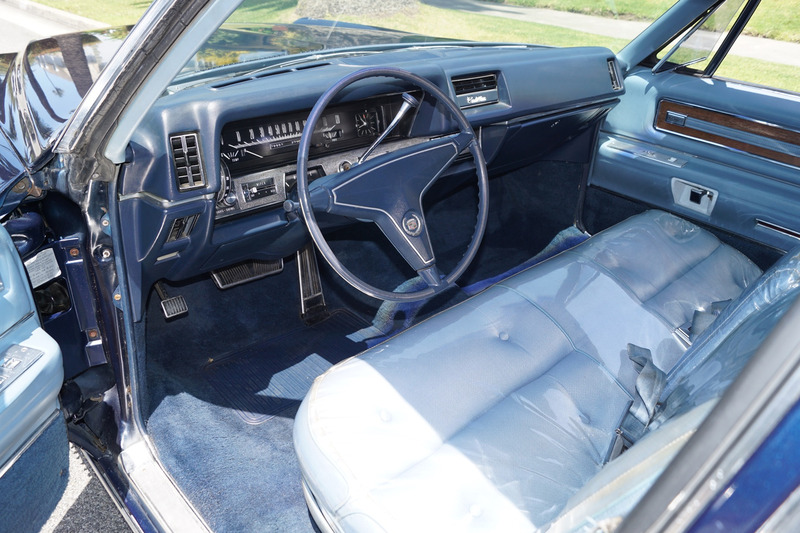 The front seats are still covered in their factory plastic protection and the original 'Blue' color cloth front seat is therefore in immaculate condition, as are the rear seats. 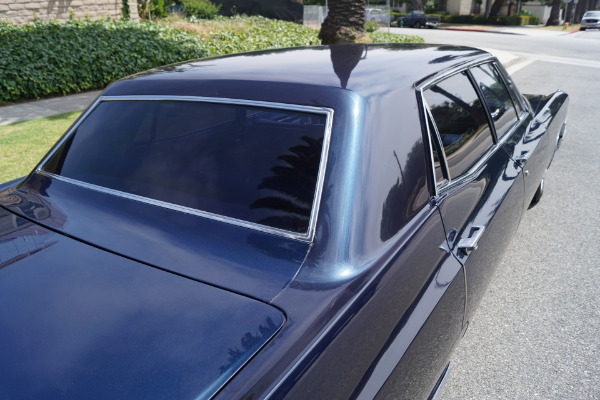 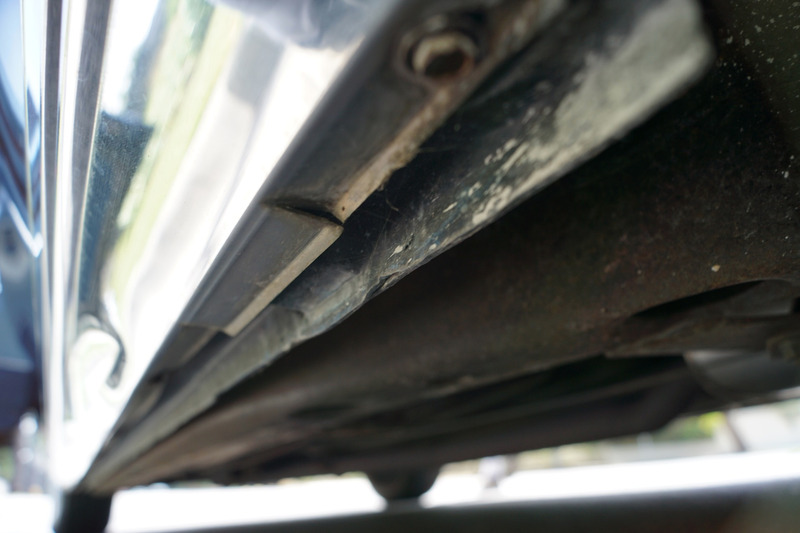 Please note that the original weatherstripping has aged and could now be replaced if desired and there are some very minor blemishes in the paint under very close inspection. 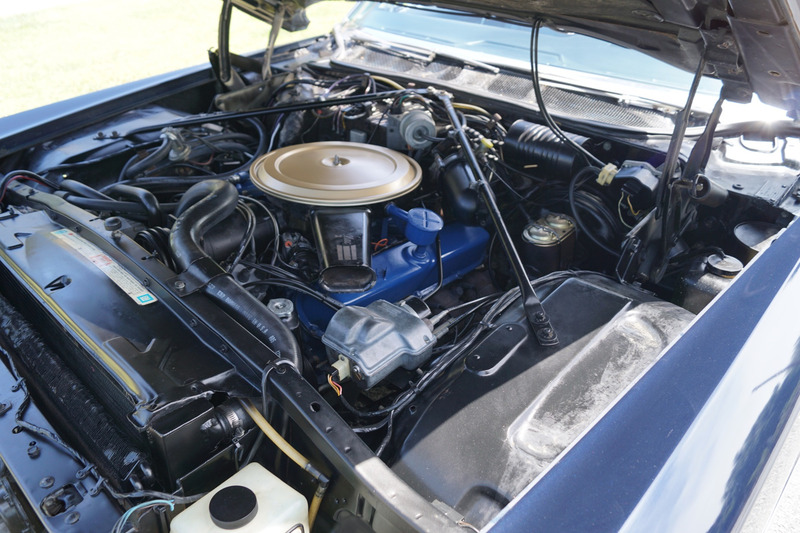 The 472/375HP 4 barrel V8 engine is extremely strong and powerful and sounds absolutely magnificent and this particular car drives absolutely magnificently - must be driven to be fully appreciated - does not miss a beat and purrs like a kitten! 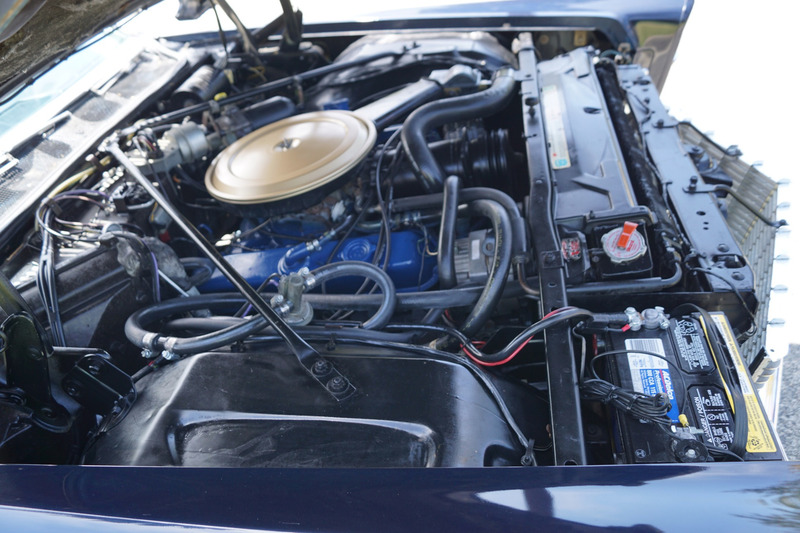 The transmission shifts smoothly through the gears and the car is an absolute pleasure to drive! 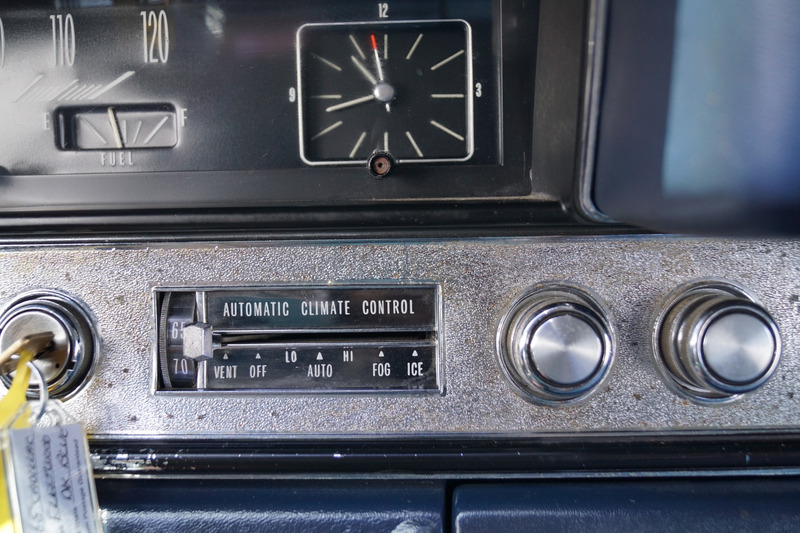 The car has always obviously always been well maintained and all the options work as they should including all the power options, the power windows, power seats but please note that the factory air conditioning is not working. 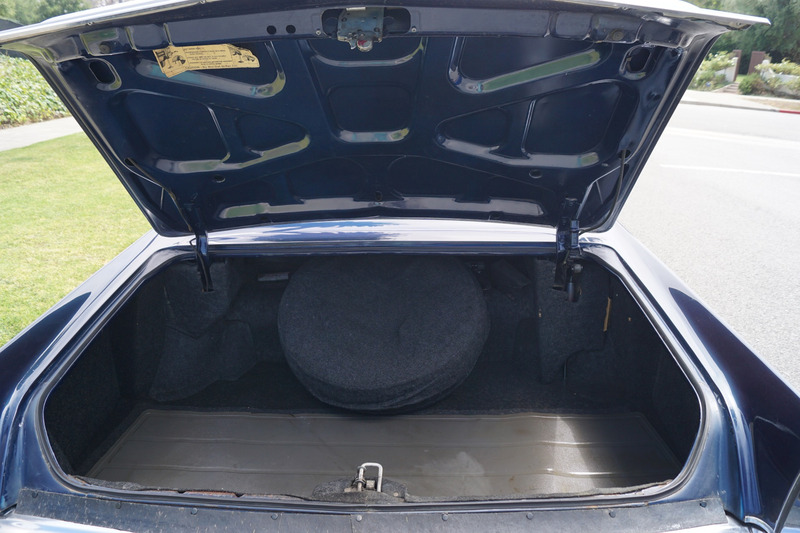 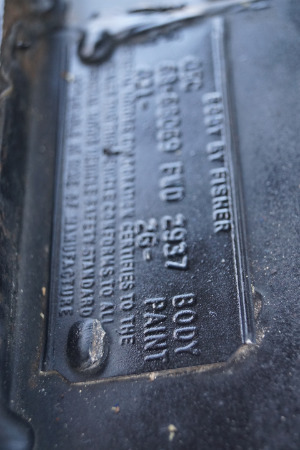 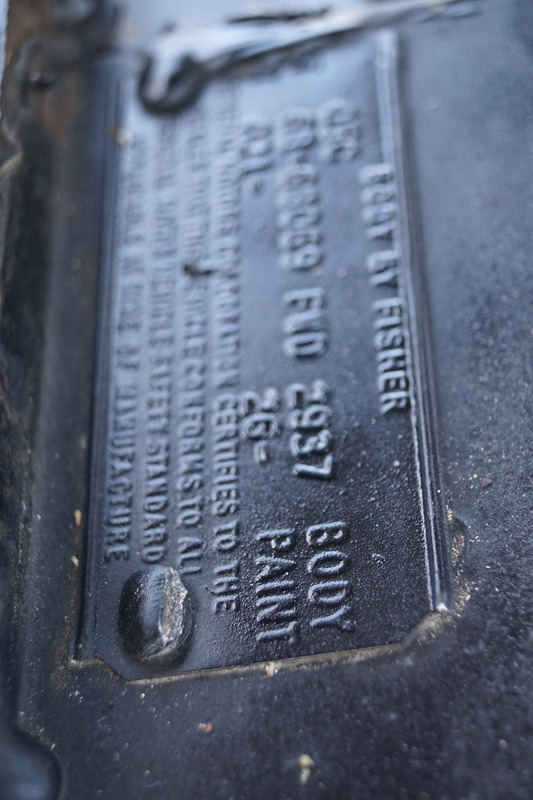 The car boasts its original spare wheel and jack in the truck and original dealer handbook and Protecto-plate!